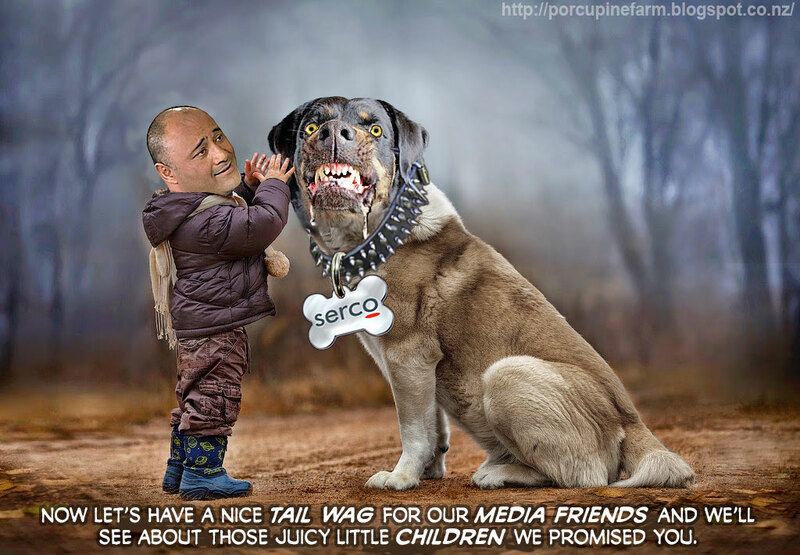 Serco is a corrupt company with a well established history of fraud. It repeatedly falsifies performance data in order to meet its contracts with Governments. Two days ago I posted this blog: How Serco pulled the wool over Corrections and Mt Eden was rated as ‘exceptional’. It pointed out that Serco appeared to be under-reporting the number of serious assaults at the Mt Eden prison leaving prisoners to suffer instead of taking them to hospital. The article mentions that in 2013, Serco was investigated by the Serious Fraud Office after they were found to have overcharged the British Government for the monitoring of offenders in the community who were subsequently found to be dead, back in prison or overseas. It seems Serco also has a history of manipulating data in its contracts with the British National Health Service. See the following articles from the Guardian. I have provided the main points from each. repeatedly took visiting doctors off roving duties in order to operate clinics and hotlines because it had too few staff on duty to cover the county. The Guardian 23 April 2013: Who will hold NHS contractors like Serco to account? “The powerful parliamentary public accounts committee summoned Serco and the NHS body responsible for commissioning them, the Cornwall primary care trust, and gave them the roasting they deserved for a culture of “lying and cheating” and for “shocking” inadequacies in writing and monitoring the contract. In 2012, the Corrections Department began comparing the effectiveness of its 17 prisons. 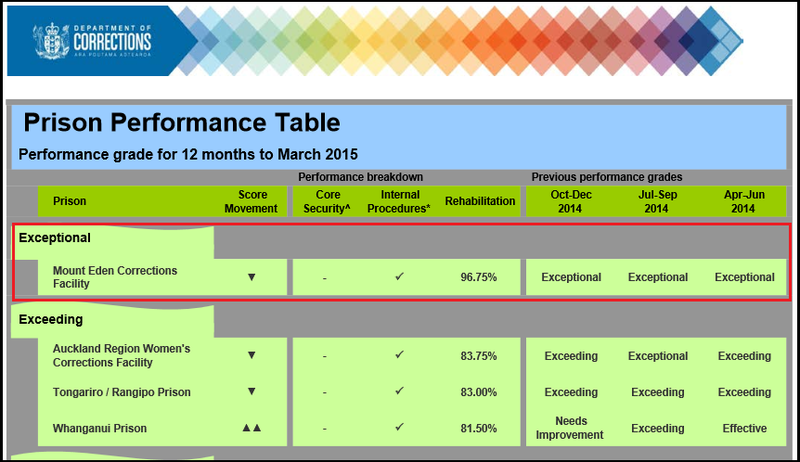 Since then each prison has been ranked under one of four categories: ‘Needs Improvement’, ‘Effective’, ‘Exceeding’ or ‘Exceptional’ and the results are published every three months in the Prison Performance Tables. Then in June this year, prisoners themselves confirmed on-going violence by posting video clips of fight clubs on social media. Labour MP, Kelvin Davis (left), joined in claiming that prisoners were being ‘dropped’ off balconies and had died from their injuries. In July it was reported that a prisoner committed suicide after being subjected to violent bullying. Unbelievably, while all this mayhem was going on, the Mt Eden prison managed by Serco was climbing up the prison performance tables. 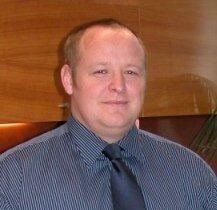 It hit the number one spot in December 2013 and in that quarter, Serco’s performance was rated as ‘exceeding’. Three months later, it was bumped up to ‘exceptional’ and has maintained this rating ever since. In response to the violent video clips, Corrections claimed it had no idea that prisoners were routinely taking drugs and fighting. The monitors must have been asleep. But there’s more to this cover-up. Under the contract, Serco is responsible for providing the Department with regular statistics on a variety of key performance indicators including ‘serious assaults’. During all of 2014, Serco reported that these were all within acceptable limits; because the monitors never raised any concerns, chief executive Ray Smith just accepted whatever Serco said. Serco is also responsible for advising Corrections how much it should be fined if it breaches performance standards in the contract. Every time Serco reports a prisoner has been seriously assaulted, it is supposed to penalise itself $35,000. Expecting a multi-national corporation like Serco to fine itself is a ludicrous contractual concept. It’s just not going to happen. Also in 2013 Serco (and G4S) were investigated by the Serious Fraud Office after they were found to have been overcharging the British Government since 2005 for the monitoring of offenders in the community. 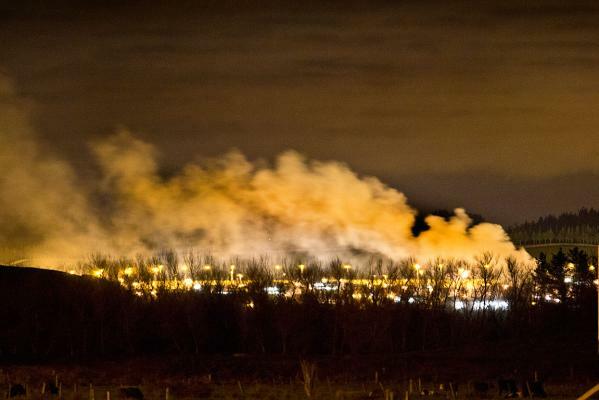 The two companies had to pay back $180 million after charging for the monitoring of offenders who were subsequently found to be dead, back in prison or overseas. 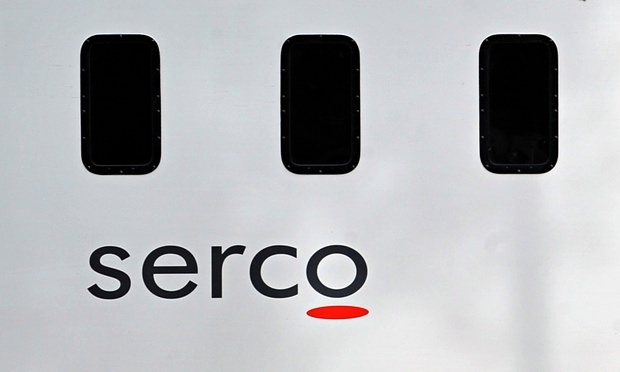 In Britain, Serco is now operating at a loss. It does not want to lose money in New Zealand as well. To avoid doing so, Serco is able to hide the serious assault statistics at Mt Eden using loopholes in its contract with Corrections. The contract defines a ‘serious assault’ as one involving..
‘overnight hospitalisation in a medical facility’ or ‘bodily harm requiring extended periods of ongoing medical intervention’. Serco can avoid reporting serious assaults because the contract does not define ‘extended periods’. So if an inmate is kept in prison for a week (or even a month) after an assault, Serco can avoid reporting this as a serious assault by pretending that one week (or one month) does not constitute ‘extended’ treatment. Occasionally, Serco has also transferred seriously injured prisoners to another prison – leaving the other prison to ensure the prisoner was hospitalised. The monitors appointed by Corrections seem to have little incentive to bring this fraud (and inadequate medical treatment) to the attention of the chief executive, Ray Smith. One difficulty in this regard is that although the monitors are supposed to have ‘free and unfettered access to all parts of the prison’, section 199F(3) of the Corrections Act provides an ‘out’. 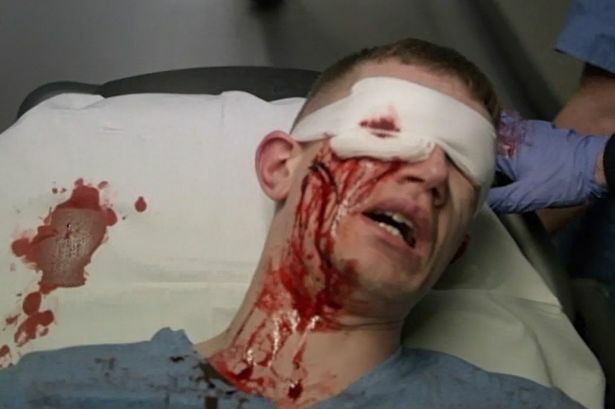 Unless the monitors know which prisoner has been injured, they can’t even ask for consent – making it next to impossible to ascertain the severity of any prisoner’s injuries. As a result of the furore caused by video clips from the smuggled cell phones, the Corrections Minister is to conduct an inquiry. It will examine whether violent incidents have been “under-reported”. Hopefully it will also examine whether Serco has enough staff on duty to intervene when fights occur – to counter reports that understaffing leaves officers afraid to intervene. 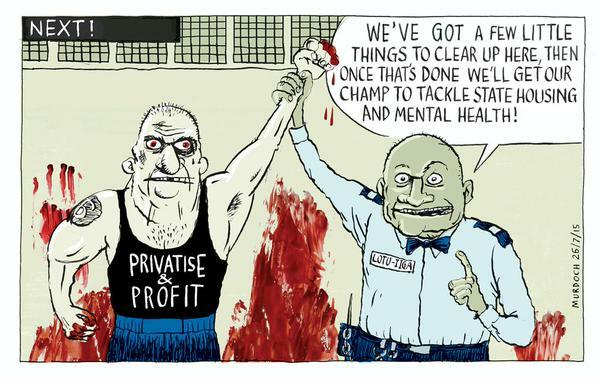 You can bet there’s one thing the inquiry won’t examine – whether private companies like Serco, whose sole incentive is to make a profit, should be running prisons at all. And it won’t examine why the Government agreed to use a company like Serco with such a dubious track record overseas. 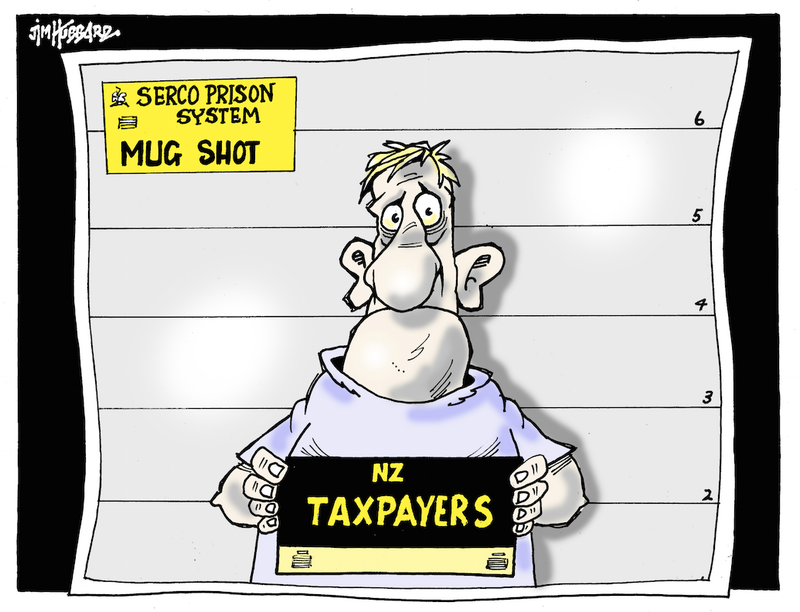 The NZ Herald reported today (February 21) that Serco, the operator of Mt Eden prison has been fined $150,000 after a prisoner escaped. Serco is an international conglomerate based in Britain and given the contract to run the Mt Eden prison. The Corrections Department has carried out a review of security after notorious inmate Aaron Forden escaped from the prison in the early hours of October 10, 2011. Corrections and Serco say both operational security and the physical security of the building infrastructure have now been enhanced. 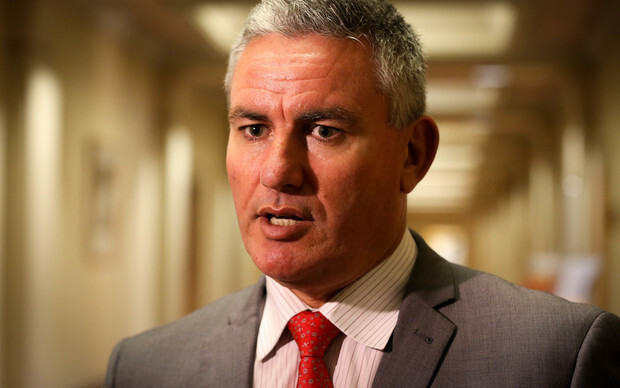 Department of Corrections Chief Executive, Ray Smith, says a portion of the payment to Serco for the management of Mount Eden prison is performance-related and that it’s appropriate to levy a financial penalty for the escape. It seems that Corrections is not only responsible for administering punishments imposed on offenders by the courts, it is also responsible for punishing its approved private prison partner. Does this mean that if anyone escapes from a prison run by the Corrections Department, they will pay the Government $150,000? Of course not. What a shame. Two escaped in the last 24 hours – one from Rangipo prison and the other from hospital in Chrischurch while undergoing medical treatment. It seems that between five and ten prisoners escape every year so if Corrections had to pay up every time, it would be penalised about $1.5 million a year. Shouldn’t Corrections also be performance related for its (lack of ) success at rehabilitating and reintegrating prisoners. 70% of prisoners re-offend and 52% are back in prison within five years; nothing the Department has done it in its entire history has reduced recidivism one iota. Shouldn’t the Department be required to pay back $150,000 to the government every time a prisoner re-offends and returns to prison. That would buck up their performance. Maybe that’s too much to ask. With that level of accountability, given its current record, the Department would have to pay back its $1 billion budget every year.